The minute I met Monica, I felt joy radiate from her entire being. 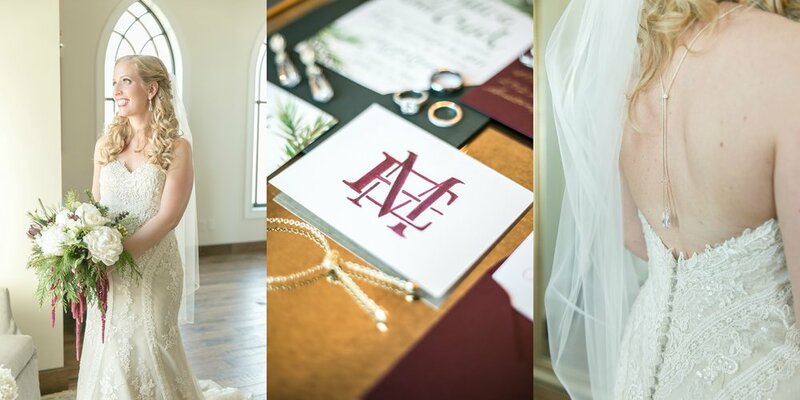 As we began talking about her big day over a year ago now, I could see the happiness she carried with her as she explained what she had always envisioned to create her dream wedding day. 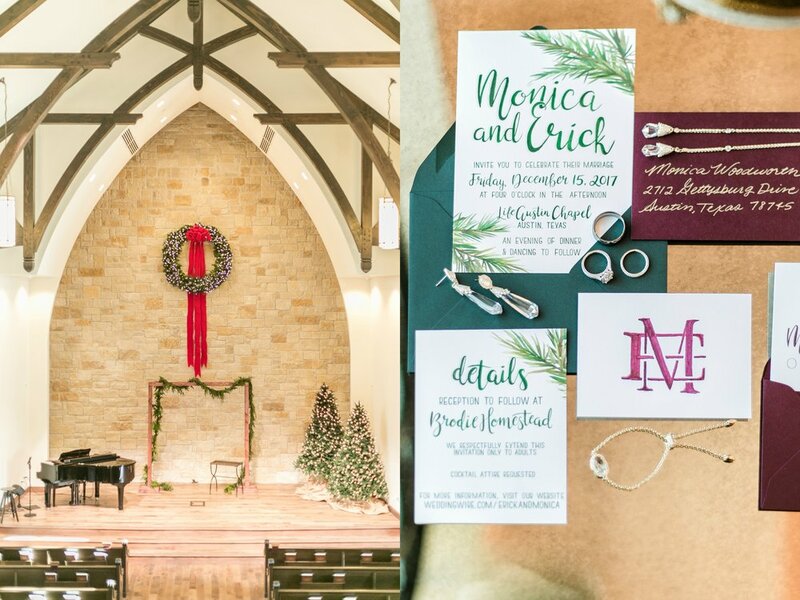 As Monica explained how her and her fiance met, her smile began to get a bit bigger with each detail she filled me in on about her and Erick's love story. She's the type of person you are drawn to for a very obvious reason-she is constantly smiling and genuinely cheerful. Her demeanor is full of this magnetic energy that radiates pure delight and contentment within herself. Shortly after Erick & Monica booked me to be their photographer, I sent them their Engagement Style Guide & we had an amazing Engagement Session which began by walking up and down South Congress & ended at McKinney Falls State Park just as the sun set. I loved getting to know each of their personalities a bit more and the chemistry the two had together seemed to compliment each other in the most perfect of ways imaginable. Hearing of their many adventures together and what had brought them to that moment was captivating. Their stories about many adventures and memories together leading up to that point had me captivated in conversation right up until any trace of light in the sky had hidden. Their story about how they met was one for the books, explaining that they actually began a relationship while working together at a bank. 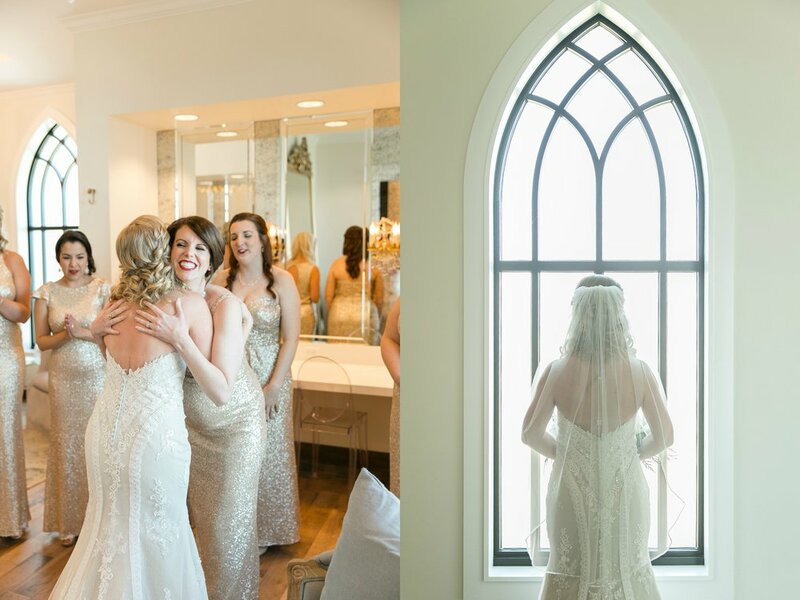 I just knew the wedding would be perfect when I walked in the Bridal Suite to see Monica with her classic smile as she finished getting ready to marry the man of her dreams. 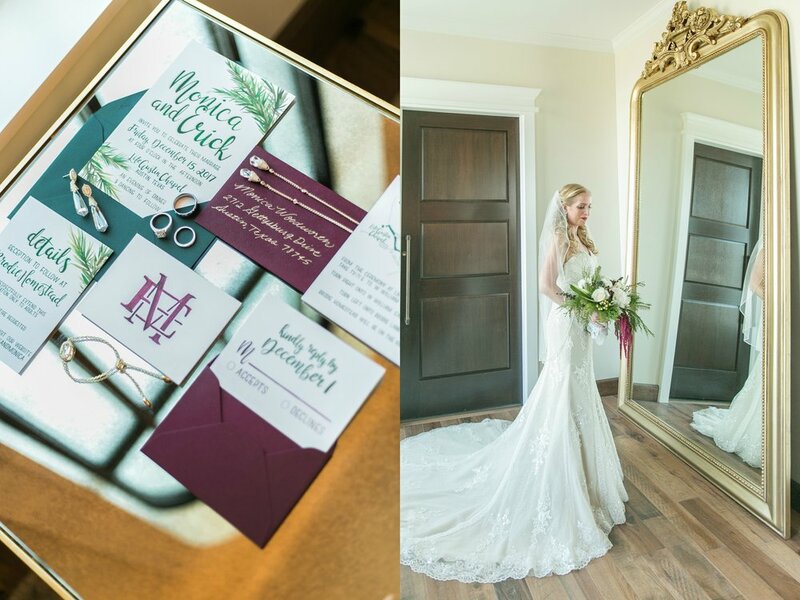 The invitation suite was a perfect hand-made detail by the one & only Bright & Clean artist, Kamryn Clark. 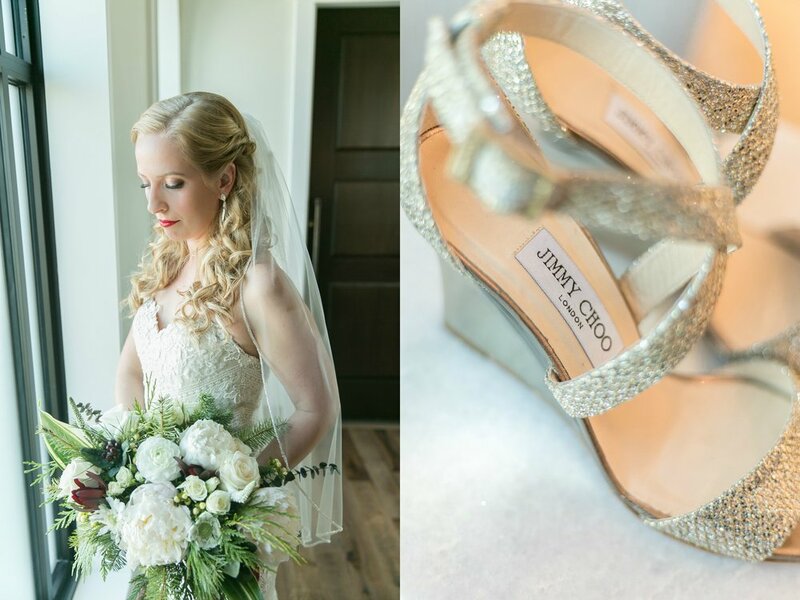 The breathtaking Jimmy Choo heels for the bride added a touch of glam to start the big day as well as the impressive & ornately decorated gold mirror which stood tall in its elegance within the Bridal Suite of the Life Austin Chapel. 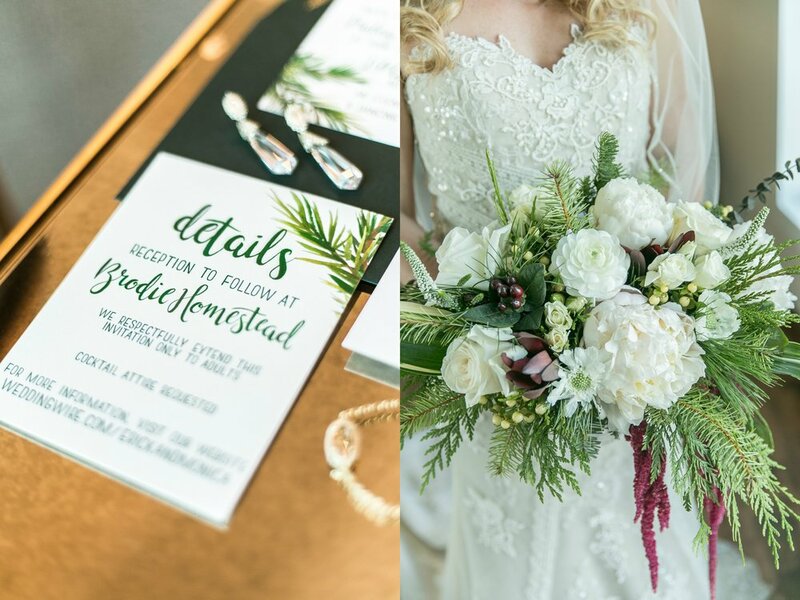 I was so happy to be able to work together again with Kenan from Foxglove & Grace - she is one of my favorite florists in the area & known for her stunning floral arrangements, flawless client experience and exceptional organizational abilities on each wedding day. 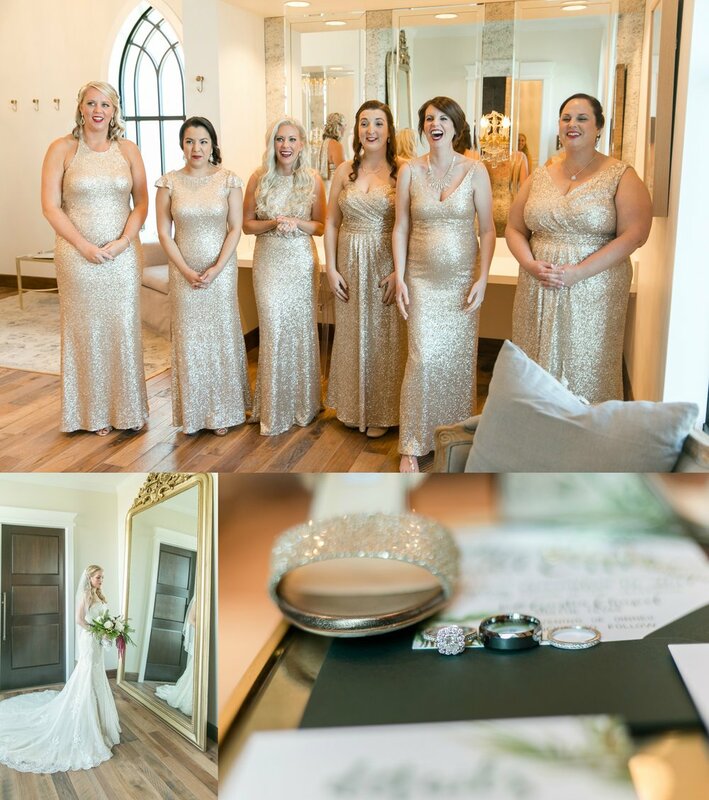 The groom surprised his bride with a sweet sterling bracelet just before the ceremony & she couldn't be happier- everything was ready to go & they were both ready to be married! And just like that, the two were married! 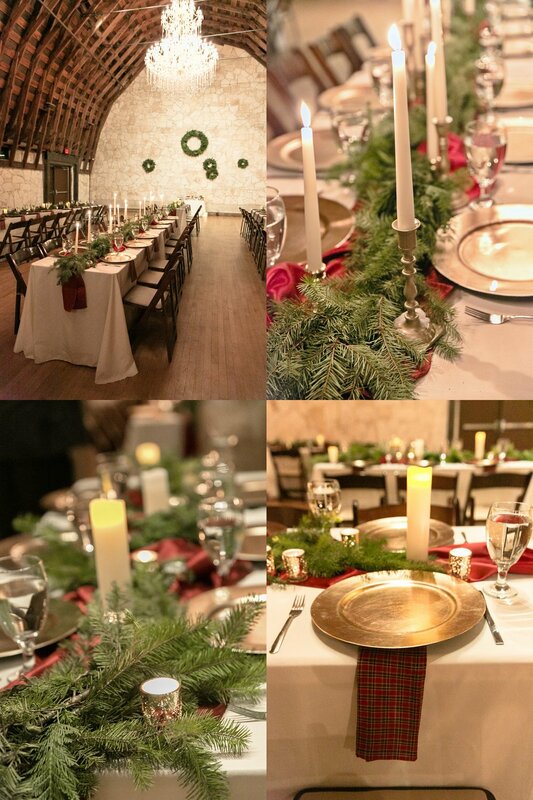 Upon arrival at Brodie Homestead, every table had been meticulously decorated with fresh garlands of pine draped on top of the most beautiful wine-colored silk runners. With dozens of tall skinny candles glowing & gold chargers prepared for each table setting, the celebration was ready to begin. 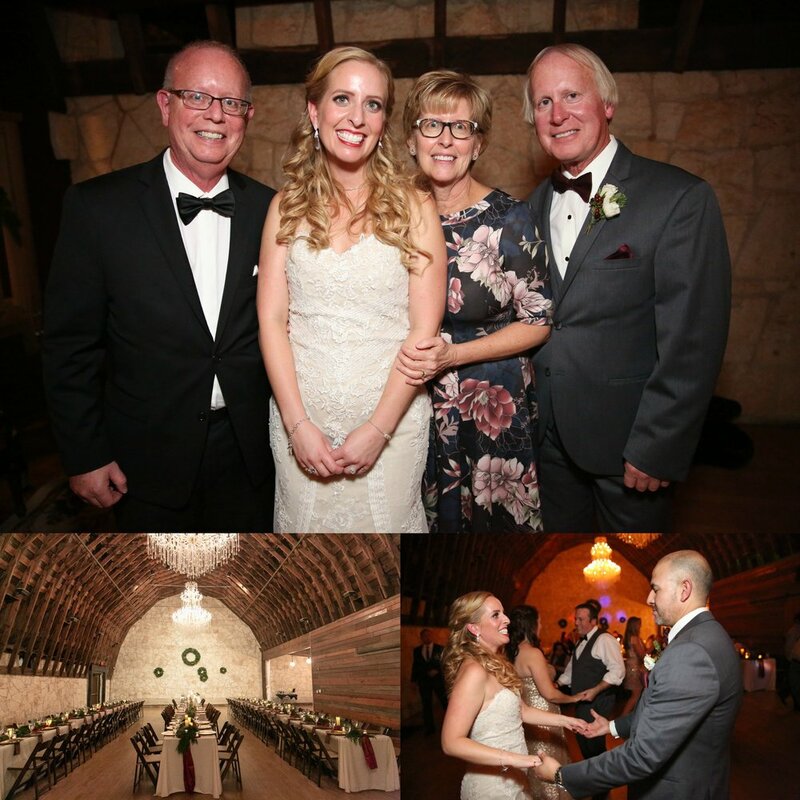 The reception was full of smiles, complete with a s'mores bar, dancing, a cigar break for the men and also a Caricaturist to draw the guests. Everyone who attended had a night full of fun and most importantly, celebrated Monica & Erick's new chapter in life. 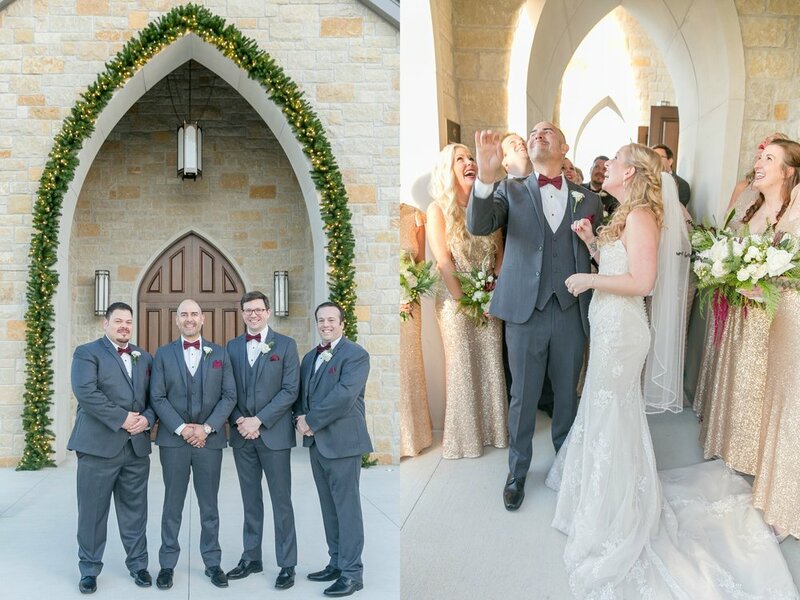 This was an amazing wedding to say the least. All of the family members and guests made me feel right at home. Towards the last hour of the reception, the two celebrated Erick's Peruvian heritage by incorporating 'La Hora Loca', which means "The Crazy Hour". For this last hour, the lights were dimmed all the way down, balloons in all colors were passed around as well as traditional Peruvian tasseled hats for guests and the music was turned all the way up. 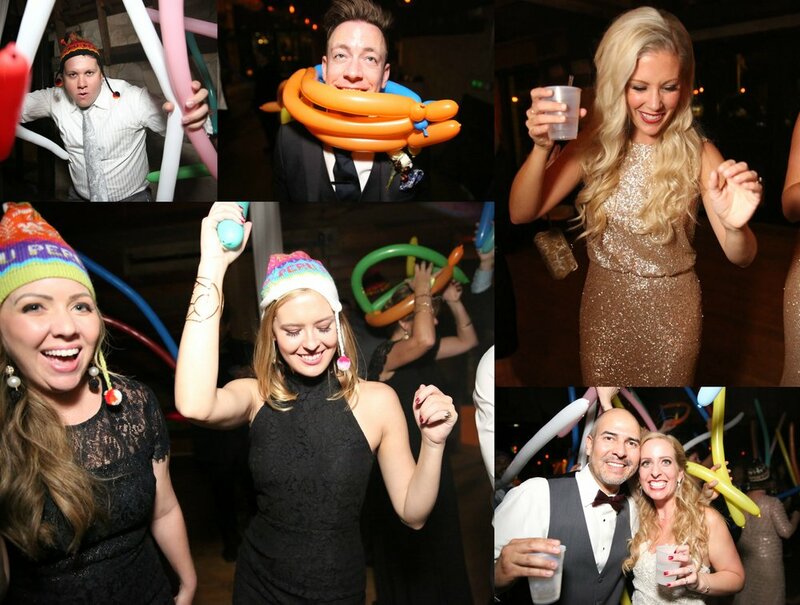 It was a crazy party the last hour with epic dance moves, smiles everywhere and so many balloons. The energy that surrounded the couple made me wish I was secretly Peruvian as well. I was blessed by being able to capture such a fun tradition to the groom's culture & consider this to be one of the most epic ways to end the night...pumped up! It was such a pleasure being your wedding photographer. I really enjoyed getting to know both of you throughout the entire process the past year and wish you nothing but the best in the future. Your chemistry is magnetic & I hope you can remember how special this day was for you every time you look at these photos. Your closest friends and family was there along the way & I now consider you both to be friends of mine as well & for that, I am very grateful! When an argument or tough time comes along in your relationship, my advice is to turn the lights down, turn the laser lights on, get balloons and play crazy music to start dancing to & not talk. Hopefully, that will bring you back to the last hour of your amazing wedding and all the feelings of how much you are in love with rush back in an instant! I am so glad you decided to honor your Peruvian heritage with ‘La Hora Loca’. I am truly grateful to have such amazing clients & I pray your relationship grows and bears fruit throughout the many years together. God bless y’all & don’t be strangers. I’d love to be there for each step of your lives together.